Ullman DynamicsNewsWorld’s fastest electric boat at Yachting Festival in Cannes! World’s fastest electric boat at Yachting Festival in Cannes! 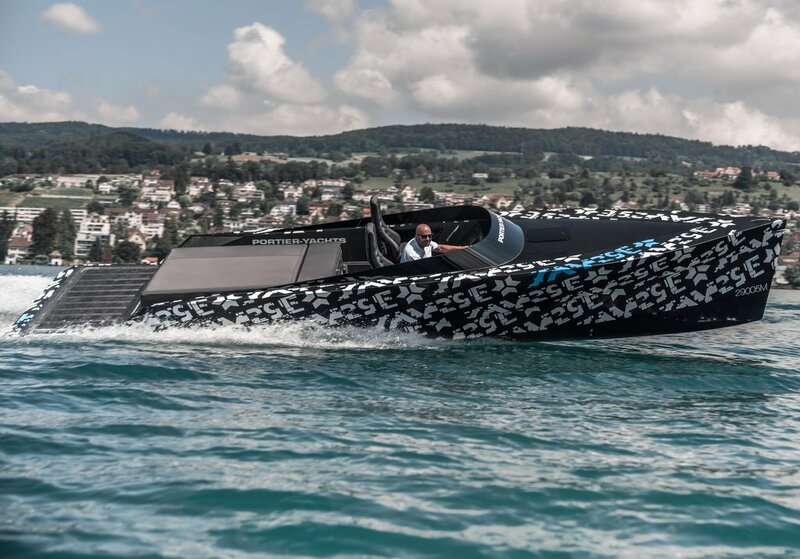 Earlier this year the SAY29E Runabout Carbon made headlines after it claimed the title as the worlds fastest electric-powered production boat between 8-10m built by SAY Carbon Yachts in Germany. The SAY29E reached a top speed of 51 knots powered by Kreisel Electric. from Austria. The power output from the engine is around 500 hp which makes this 29 ft carbon boat something out of the ordinary. The SAY29E has two Daytona Crew seats for full comfort at all speeds at all times. 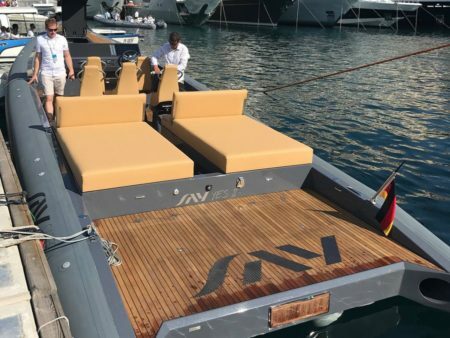 In Cannes the SAY 45 RIB will also be displayed – The RIB features five Ullman Patrol seats with custom upholstery and will be available for full sea trials.